Our product range includes a wide range of cold storage insulated panels. Sandwich panels has been changed in order to meet the requirements of the amended EN 14509 standard. Changes refer to sandwich panels with a PU (polyurethane) core that will now be replaced by sandwich panels with E-PIR polyisocyanurate core. 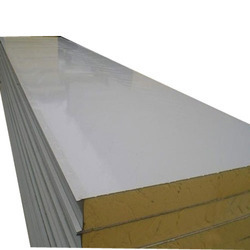 For more demanding applications, we offer sandwich panels with X-PIR polyisocyanurate and mineral wool (MW) cores. Looking for Cold Storage Insulated Panels ?